The 33-year-old sustained the blow during the Super Rugby game against Stormers where he came off the bench in the 52nd minute to replace Ma'a Nonu and has undergone surgery on Friday. Blues coach Leon MacDonald confirmed the news on Williams and said the 6ft 4in centre is desperate to return to make a comeback with the World Cup around the corner. “We’ll miss him on the field obviously but he’s still contributing in the meeting rooms where he can,” said MacDonald. “He’s pretty driven to make sure he recovers well from this injury and gets back on the field". Williams will now miss the foundation day camp of All Blacks where he was amongst the 41-man squad and the New Zealand board has not named any replacement. 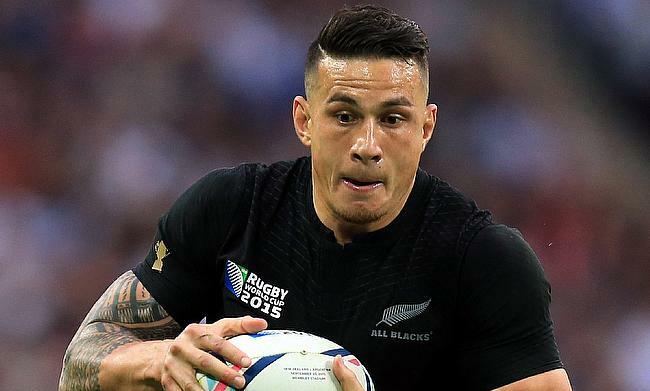 Williams, whose career has been hampered by injuries in recent times has featured for the All Blacks 51 times and is among twenty players to have won two rugby union World Cups when New Zealand clinched the tournament in 2011 and 2015.